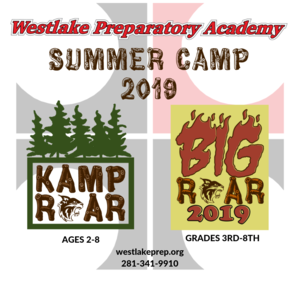 We are excited to announce our Summer Camps. All camps are open to anyone in the community, invite your friends and sign up TODAY! Ask us about Middle School financial incentives!! Movie Night is hosted by WPA Middle School Students and 100% of sales and donations collected at Movie Night will be donated to the Nebraska Flood Relief. Anyone can attend! Save the Date and secure a babysitter! 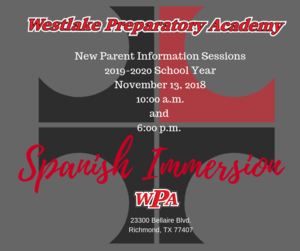 Join us on December 4 at 10:00am or at 6:00pm for an information session on WPA's Spanish Immersion Program. 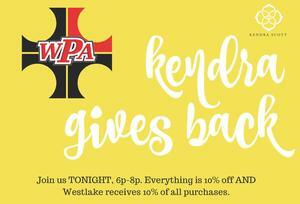 Join us TONIGHT for our annual Kendra Gives Back Spirit Night! 10% off all the jewelry, PLUS 10% of all purchases go back to Westlake! 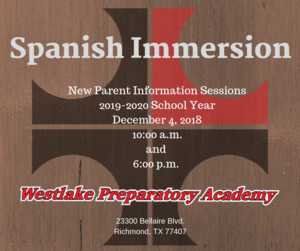 Join us if you are interested in hearing what a Spanish Immersion program at Westlake would look like! 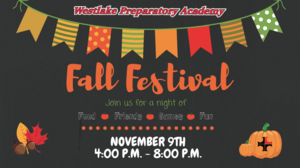 Everyone is invited to attend our 1st Annual Fall Festival!